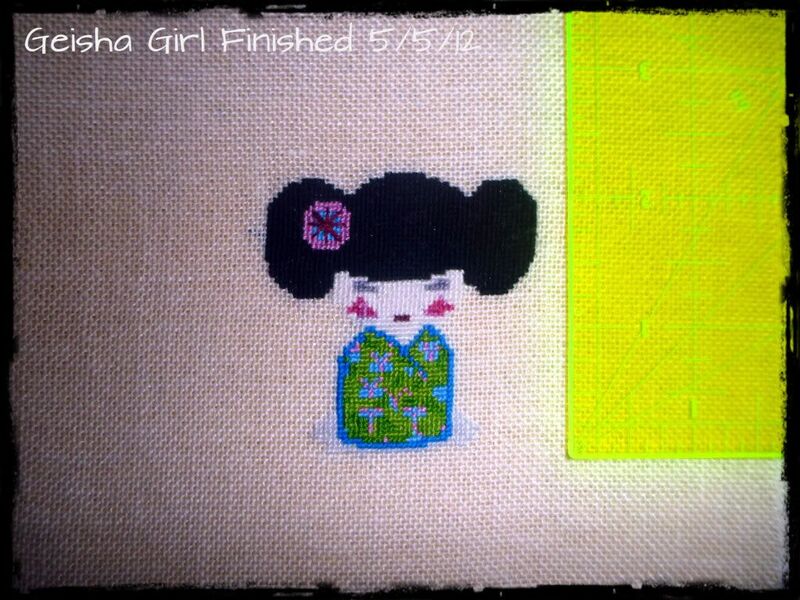 Well I finally finished the Geisha Girl. The hair was an absolute pain, lots of black and tiny! Doesn't she look cute? Though I do need a better photo that isn't taken at night. It's done on 25ct over one so it's really small. So only about 2 inches high :D and about that wide. So gorgeous. Now I was given another pattern to test at the same time. This one I am being smarter about. 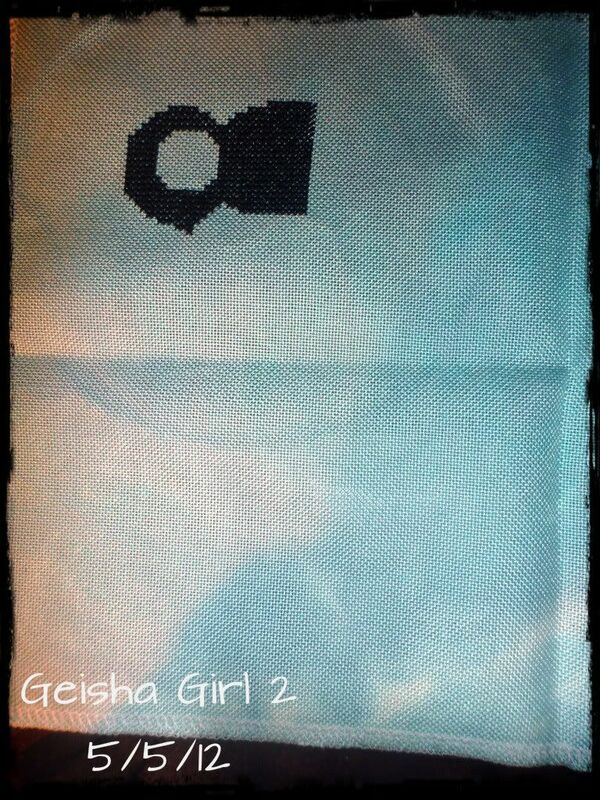 I have some polstitches fabrics from a grab bag I bought at one point. 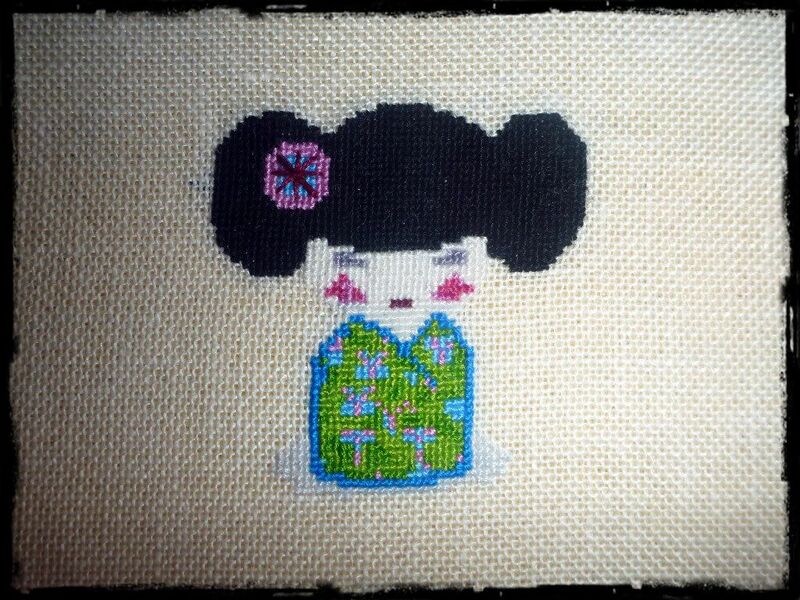 So I am doing it on a 28ct over 2, I love the gorgeous colours of the fabric and I'm starting with the hair this time. leaving the good bits for last.